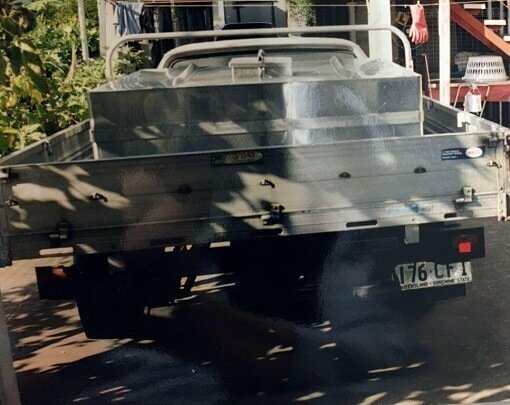 From small beginnings in Con Bouras’ house in West End, to a growing cheesemaking business in Coorparoo supplying Australia’s speciality grocers, delis and IGA’s and some of our most prominent chefs in cafes and restaurants around the country. How did we get there? Here’s a little trip down memory lane – the history of Olympus Cheese. Olympus Cheese was first established in 1974 by Mr Con Bouras. 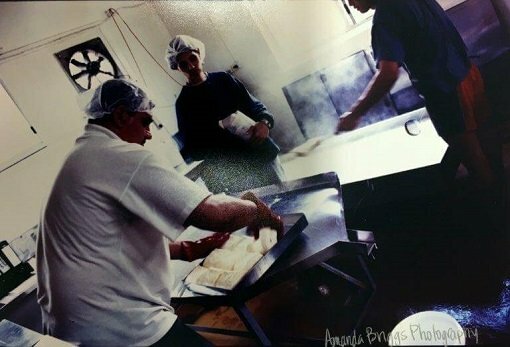 Con’s cheesemaking began as a hobby after his retirement. From the interest of friends and family, news of this delicious cheese soon spread further afield. Con found himself placing orders every day for his homemade cheese. By the time Con was in his 70’s, he had transformed a double garage behind his home in West End, into a cheese factory, and called it Olympus Cheese. The fresh cheese was made with love and wrapped in brown paper. Con’s original distributors were Samios Foods, who at the time were situated opposite the Mater Children’s Hospital. The milk was transported on the back of an old truck from Parmalat. Some 20 years later, Con’s ‘retirement hobby’ had turned into a booming little business with a factory in Ferry Road in West End. Con suffered ill health in 1996 but wanted to keep the business going. Current owners Michael and Desiree bought the business from him in partnership with Michael’s mother and step-father, the Fahham’s. Finally, Con would retire – for real this time! Michael is of Cypriot-Greek heritage, with his father hailing from Lysos in Cyprus and mum from the island of Rhodes in Greece. Both Michael and Desiree met in South Africa, before emigrating to Australia in 1988. In June 1998, Michael and Desiree bought the Fahham’s out of the business. Michael is master cheesemaker, assisted by his brother Emanuel. Michael is not a cheesemaker in the traditional sense, but he did learn from a master craftsman in Con. He and Desiree have since built Olympus Cheese into an iconic Queensland cheese factory. In 2002, growing demand and lack of space saw the Gavriels move the Olympus Cheese factory site to its current position in Churchill Street, Coorparoo. Since then Olympus Cheese have expanded their product range considerably, adding Greek and Natural Yoghurt, bulk portions of halloumi, ricotta and fetta, and adding marinated fetta and baked ricotta. Their fresh cheese and yoghurt has also gained attention from the industry experts in that time, having placed consistently in Australia’s Grand Dairy Awards year on year. In 2018 the company is again undergoing an expansion, with new equipment and storage space required to meet demand. But despite all the changes, what remains about Olympus Cheese is a sense of tradition. The warmth of family and friendship is part of the Olympus Cheese culture and permeates right through the company. Olympus Cheese continues to be the only cheese factory situated within 5kms of Brisbane city. 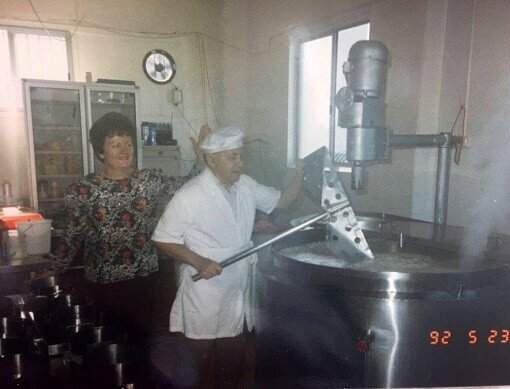 Olympus Cheese products are also still largely handmade, Australian-style, to Cypriot traditions, using non-animal rennet. The cheese is as fresh as it was in the 70’s, manufactured and packaged within 48 hours. What is also lovely is that some 20 years later, Con Bouras’ son George works at Olympus Cheese. Good cheese, especially Mediterranean cheese, is made honestly and traditionally, with no BS and a whole lot of love. This is what Olympus Cheese is made on, in every sense of the word and what will stand the test of time for long to come.